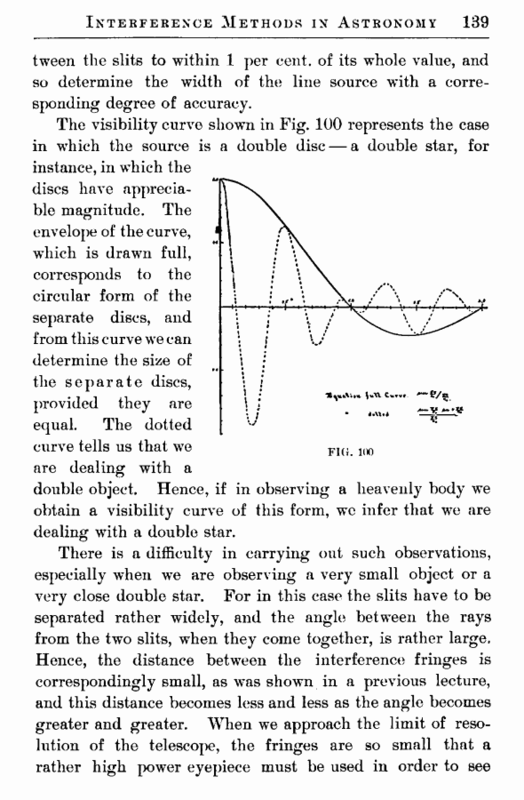 source is rectangular. 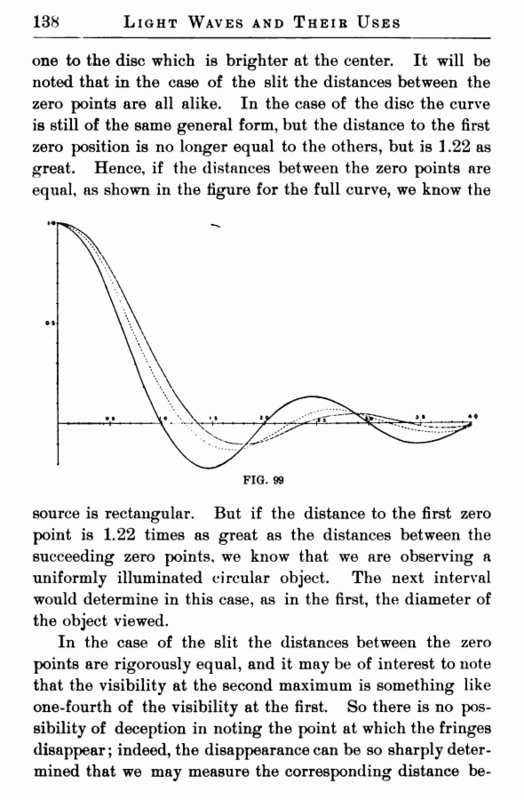 But if the distance to the first zero point is 1.22 times as great as the distances between the succeeding zero points, we know that we are observing a uniformly illuminated circular object. The next interval would determine in this case, as in the first, the diameter of the object viewed.